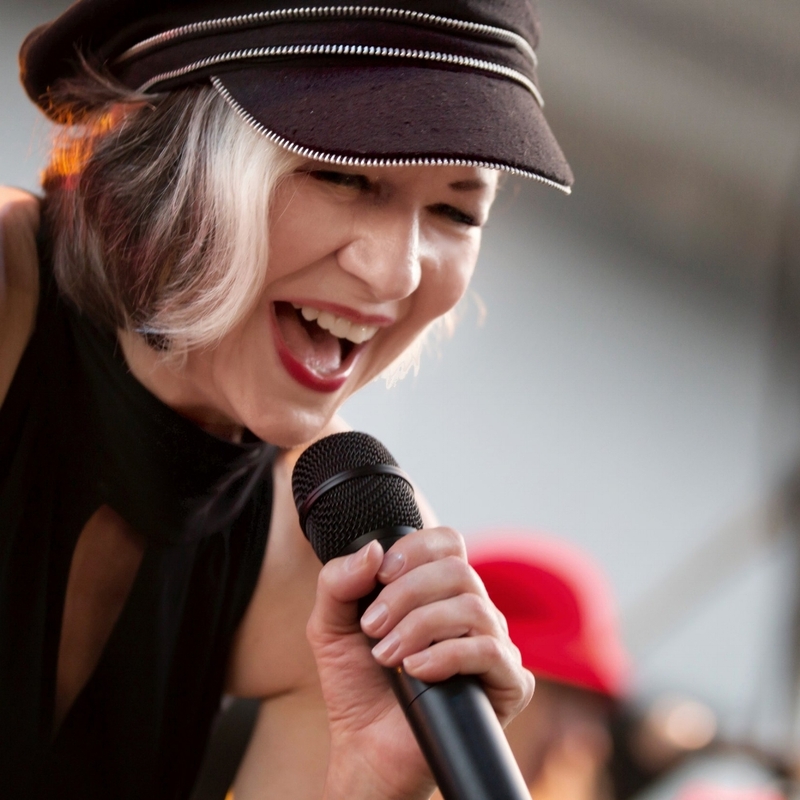 Valerie Day teaches and coaches singers who want to live a holistic, sustainable, vocal life. We all have one, and, like a fingerprint, each one is unique. Finding yours isn’t just about making music, it’s also about giving voice to who you are, and who you would like to become. I believe that when a singer’s life is infused with purpose, heart, and meaning, the path to “making it” in music becomes a different kind of journey. I am committed to helping vocalists discover how they can create their own unique, sustainable LIFE in music. Yup — I’m still doing it. I love making all kinds of music — jazz, funk, soul, country and classical, too! I’ve been fortunate to have a career that’s spanned many decades recording and performing in a wide range of styles. My main squeeze for many of those years has been the Grammy-nominated 80s band Nu Shooz. We had a few hits back in the day that continue to live on in the cultural lexicon. Our biggest hit, a little song called “I Can’t Wait,” continues to get airplay somewhere on earth every 11 minutes! That feels like a miracle to me. As a musician, artist, and educator for over 30 years, my own journey has taken me from small clubs to arenas, performing in obscurity to making hit records, and back again. The many years I spent in the trenches with vocal students from all walks of life, levels of experience, and career dreams and goals, has given me a front row seat to the kinds of struggles that singers wrestle with every day, at every stage of their career. I love to share what I’ve learned — and am still learning! Through empowering, fun, transformative eCourses, Podcasts, and more, vocalists will emerge with a deeper understanding of the landscape in which they will be creating their own unique artistic and professional success, and a plan for moving forward to claim their own vocal life, one step at a time. How often do I send them? About once a month. Who's it for? Anyone who's interested in making singing a larger part of their life. to help you navigate your life as a singer. When you sign up to my newsletter your email address is stored in my Mailchimp account. I never share or sell your personal data and you can unsubscribe at any time.